If you are an innovator and/or entrepreneur at heart, please make sure you join Mount Sinai Innovation Partners (MSIP) for one of their many fall innovation events – spanning the Mount Sinai Innovators Group (MSIG) that meets monthly, visiting companies like Johnson & Johnson JLABS and “smithwise” who will share best practices on how medical devices are developed and brought to market, as well as a seminar on the Ins and Outs of SBIR/STTR funding – and many more. MSIP is looking forward to hearing about your Eureka moments, and collaborating with you to get your bright idea into products and services that benefit patients and society. Share your commercially-relevant translational discoveries and inventions with MSIP! In the next few weeks, MSIP has the following exciting events. For other fall events and programming, please see their events calendar here. Should you have any questions about MSIP, MSIG and other future innovation events you would like to see, please contact Cynthia Cleto. Do you have an idea for a healthcare innovation that could possibly benefit patients in the long run? If so, the Mount Sinai Innovation Group (MSIG) is the place for you. MSIG brings together students, faculty, and staff currently working on entrepreneurial and innovative projects to share experiences, learn approaches to technology commercialization, and develop new technologies. MSIG’s first meeting will be held on Thursday, September 14 where we will cover the essentials of Intellectual Property and Commercialization – a must if you are looking towards a technology that may be developed into a product or service for the healthcare marketplace. Both our speakers have experience in the startup community, and we will be peppering them with questions about this process as well. This will be followed by a networking reception, where you can meet fellow innovators and entrepreneurs within the community. Future meetings will feature experts in medical devices, the startup space and more! If you are an entrepreneur by heart, please join MSIP at an information session to learn first-hand about the ELabNYC 2018 program. Ask your questions face to face. Hear about the new program plans for 2018. Learn what you need to do to submit a strong application. Meet alums from Mount Sinai. Talk to ELabNYC program team. Application Deadline: October 23, 2017 at 5:00 PM. For more information, visit: www.ELabNYC.com. Reference management tools allow researchers to collect, organize, and store bibliographic information about source material such as journal articles, books, reports, and multimedia. A reference management tool also makes creating and formatting bibliographies and in-text citations easy. Levy Library offers a series of Reference Management classes throughout September. These tools are invaluable to researchers at all levels conducting of facilitating the literature search process. Discover what millions of researchers, scholarly writers, students and librarians already know about the power of EndNote to search online databases, organize references, images and PDFs. In this class, you will practice using EndNote X8 to collect, organize and maintain a ‘library’ of references, find and save full-text journal articles, and insert and format references in a MS Word document. The class will also cover searching and exporting citations from PubMed and Web of Science and syncing your desktop library with EndNote Online. Join us for Introduction to Zotero, a powerful, easy-to-use research tool that helps you gather, organize, and analyze sources and then automatically generate in-text citations and bibliographies. Please being your laptop to this class in order to take advantage of the workshop-style of the session. Join us for Make the Most of Mendeley. Mendeley is a powerful, easy-to-use research tool that helps you gather, organize, and share sources and then automatically generate in-text citations and bibliographies. This session will introduce new users to the tool as well as ensure that existing users are aware of all of Mendeley’s exciting functionalities. Please being your laptop to this class in order to take advantage of the workshop-style of the session. Follow the Levy Library on Twitter @Levy_Library to learn about their events and initiatives. 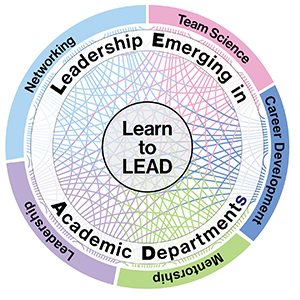 Applications are sought (deadline October 31, 2017) for the annual Leadership Emerging in Academic Departments (LEAD) Academy, sponsored by Conduits, the Institute for Translational Sciences and the Office of Academic Development and Enrichment in collaboration with UT Southwestern Medical Center. Leadership is about influence and the ability to make things happen, not just “being in charge.” Leadership skills are critical for the success of faculty at all stages of development and are of particular importance in the emerging landscape of Team Science. The curriculum includes modules in self-discovery, communication, influence, negotiation, difficult conversations, inspiring trust and embracing diversity. The format includes: didactic lectures, case studies and experiential activities. Participants will work with an executive coach and anchor the LEAD learning objectives with an Individual Capstone Leadership Project. Kick off session will be on February 2nd, 2018 and subsequent classes will occur on the 1st Friday of the month (in most instances) these are the dates as follows: (1st Friday of the month): March 2nd, April 6th, May 4th, June 1st, July 12th and 13th (2nd Thursday and Friday 9am-4pm), August 3rd, September 7th, October 5th, November 2nd, December 7th, 2018, January 4th, 2019 and January 18th, 2019 from 11am-3pm. All classes are mandatory; nominations should come with assurance that Director, Chair and/or Division Chief will provide protected time for participation. To develop and/or refine leadership skills for faculty success during any stage of the academic career. All Assistant Professors (MDs, PhDs, MD/PhDs) and Associate Professors are eligible. Women faculty and underrepresented minority faculty are particularly encouraged to apply. The ISMMS Office of Research Services (ORS) ensures institutional compliance with the U.S. Department of Health and Human Services (HHS) final rule for ClinicalTrials.gov registration that went into effect this year. To support this effort, the new ISMMS policy on ClinicalTrials.gov has been posted on the intranet policies page under “Research” and on the ORS website toolkit page. The policy clarifies compliance with the federal requirements for registration and reporting for all Mount Sinai Health System and medical school faculty, students, and staff conducting or involved in clinical trials research. If you would like to request support with a ClinicalTrials.gov registration, please visit ORS Help Center’s ClinicalTrials.gov Assistance ticketing system, create a login (if necessary, a one-time process), and fill in the form to submit your request. … a beautiful time of year to relax in the sun by the beach listening to the restorative sounds of the ocean waves or at least dream about it while stuck in your clammy cubicle at work. … a slower time to get to know each other better or at least to daydream about that opportunity. … no time like the present to talk about how the NIH wants to get to know you better, dear senior/key personnel, through a document they call the “Other Support” page. One type of Other Support page that the NIH wants is requested before the NIH might make that exciting award for new, resubmission or renewal applications as part of the Just In Time (JIT) process. The other type of Other Support page wants is part of the annual RPPR (i.e., non-competing) application process. You can find instructions and helpful samples of both Other Support types here. The Other Support (OS) page is not a portion of your Biosketch repackaged. Pay attention to the details below and may you be rewarded with a more timely award and fewer delays in the process. Ever hear of the “Overlap” statement that goes at the bottom of each Other Support page? Be sure to read all about it in section “1.8 Other Support” in this NIH Supplementary Instructions document. Both active and pending sponsored projects. A page for each Senior/Key Personnel. Is there a subaward on your project? Don’t forget to get their pages too. Same rules above and below apply for the subs. An OS page for each senior/key person that says “None” if he/she has no active or pending projects. Calendar months effort (e.g., 6 CM) for each sponsored project, not percent effort (e.g., 50%). Note at Mount Sinai we use “calendar month” effort. If you’re working with subs, they may use calendar, academic, and/or summer months effort as per their institutional policy. The annual direct cost amount and not the total cost amount for each project. A commitment overlap statement at the bottom if awarding this new grant will put you over 95% effort on active sponsored projects. Add a note to the overlap section at the bottom explaining what change you plan to make. Read more about Faculty Effort on Sponsored Projects in Sponsored Projects Accounting’s policy. Industry awards (e.g., pharma funded clinical trials) and sponsored projects in no cost extensions. The new grant – the one you have your fingers crossed for funding. Leave that one off. Training grants where you are listed as a Mentor. However, are you a training grant director or participating with measurable effort (i.e., check budget – are you listed with effort)? If yes, then yes, do include on the OS page. Prizes or Gifts or Major/Minor User Status on Equipment Grants. Other significant contributors unless their involvement has changed so that they now meet the definition of senior/key personnel. – a sponsored project that was previously reported on expired or the person is no longer participating. Is there a subaward on your project? Don’t forget to check on their pages too. Same rules above and below apply for the subs. The grant for which you are submitting the RPPR. When doing so, include the effort that will be devoted in the next reporting period. – Annotate what the change is; which previously active awards ended and/or which previously pending awards are now active. An overlap statement. See the JIT OS section above for more info. When there are only changes in levels of effort of active support. Let’s say your co-investigator reported last year that her effort on a grant was 15% and now it’s 10%. If that’s the only change, don’t submit the Other Support page. … Oh summer time, stay with us longer. How we enjoy you so. Globally approximately 85% of the research applications submitted to government funding agencies go unfunded. This leaves an innovation gap that may stifle research discovery and delay discoveries that could advance potential treatments and cures for many diseases. OnPAR seeks to provide a funding alternative to the research community’s restraints imposed by limitations in government funding. OnPAR members include private foundations, pharmaceuticals and other private funders that will review research ideas submitted for consideration. The more research ideas OnPAR gets, the more funders will join to potentially partner and fund research projects, and the closer we will be to treatments and the potential cures for our communities. The goal of OnPAR is to fund highly scored unfunded applications from NIH, NSF, FDA, CDC, DOE, NASA and other funding agencies –national and international. Internationally, the EU Commission, E-rare (conglomerate of 26 EU government funding agencies), UK MRC and Innovate UK, Canada CIHR, Aus NHMRC, Japan AMED, NASA, the Department of Energy will start joining in the Fall. Some have already confirmed. For a one page summary on OnPAR, click here. Effective August 18, 2017, if researchers are submitting an InfoEd proposal for which the budget tab is not required, they no longer need to data enter non-key personnel in the InfoEd Personnel tab. Examples of typical non-key personnel positions are research coordinators, research assistants and technicians. Please review GCO’s Glossary of Common Terms for additional information. Also, please be aware that this policy change is for GCO InfoEd submissions only. This policy neither applies to documentation submitted to PPHS or IACUC nor personnel data entry on Sinai Central, Ideate, or any other software system. Please contact the GCO at grants@mssm.edu, if you have questions about this change. 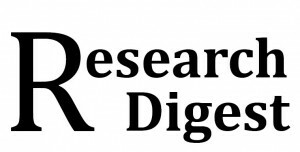 The Department of Corporate and Foundation Relations of the Mount Sinai Development Office provides this curated list of funding opportunities to find faculty who may be interested and to provide assistance with the application process. Please see below for some of their upcoming deadlines, and check out their website for more information: http://icahn.mssm.edu/research/portal/resources/corporate-foundation-relations. Please note – if you are interested in general funding opportunities (not a specific RFP listed here), please fill out the form linked on the site with your inquiry. The Melanoma Research Foundation (MRF) is committed to advancing research across the spectrum of melanoma – from prevention through diagnosis, staging and treatment. The MRF proactively partners with the NCI, Congress, the Department of Defense and other foundations to develop and collaborate on a broad agenda for melanoma research that takes full advantage of all opportunities, while also sharing challenges. Since 1998, the MRF has funded over 130 innovative, high impact, basic, translational and clinical research projects. Further, in 2016, the MRF awarded over $1.2 million dollars in new melanoma research. The MRF, in partnership with the MRF Breakthrough Consortium (MRFBC) and Bristol-Myers Squibb (BMS), is pleased to announce a new research award for 2017 for young investigator teams designed to advance the field of translational immuno-oncology research. Applications will be accepted until September 15, 2017. The Whitehall Foundation, through its program of grants and grants-in-aid, assists scholarly research in the life sciences. It is the Foundation’s policy to assist those dynamic areas of basic biological research that are not heavily supported by Federal Agencies or other foundations with specialized missions. In order to respond to the changing environment, the Whitehall Foundation periodically reassesses the need for financial support by the various fields of biological research. Letter of Inquiry deadline is October 1, 2017. Research grants are available for innovative proposals that will lead to improvements in the prevention, diagnosis, or therapy of Crohn’s disease or ulcerative colitis. BMRP-CCFA especially supports research that can be readily translated to improve the care of human IBD in the near future. Please email CorpFoundHelp@mountsinai.org if you are interested in this rolling deadline program, and the Department of Corporate and Foundation Relations will facilitate approaching the foundation.